Knight Frank Singapore today announced the launch of the sale of Beauty World Plaza by tender. Beauty World Plaza located in District 21, is a mixed commercial and residential development comprising a single block with 61 retail units and 30 residential units, with a site area of 2,305.6 sq m (approx. 24,817 sq ft). Under the 2014 Master Plan, the Beauty World Plaza is zoned “Commercial & Residential” with a Gross Plot Ratio (GPR) of 3.0. Beauty World MRT station, which conveniently abuts the development, has full sheltered access to its entrance. Located within a 300-metre radius are supermarkets, eateries, schools, as well as a wet market. Established schools and tertiary institutions are also located close by, including Methodist Girls’ Primary and Secondary Schools, Pei Hwa Presbyterian Primary School, Ngee Ann Polytechnic and the Singapore University of Social Sciences. Major arterial roads as well as expressways such as the Pan-Island Expressway (PIE), Bukit Timah Road, Dunearn Road, Clementi Road and Ayer-Rajah Expressway (AYE) provide seamless connectivity to other parts of Singapore. It takes only 25 minutes via the Downtown Line, or a 20 minutes’ drive, to get to the Central Business District. 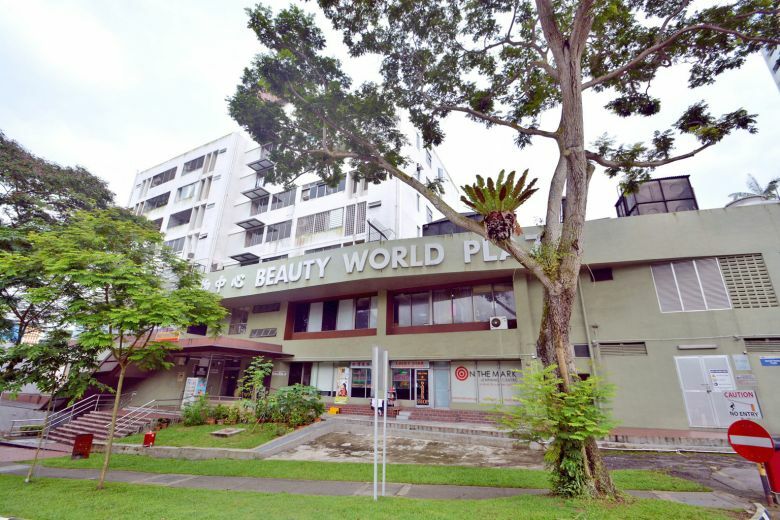 Additionally, Beauty World Plaza is less than 30 minutes’ drive to Changi Airport. 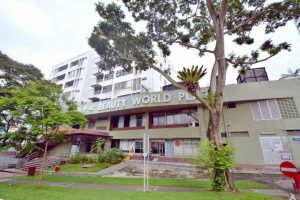 The owners of Beauty World Plaza are expecting offers above their reserve price of S$165 million. With no development charge payable for redevelopment to the maximum permissible gross floor area of 7,001.38 sq m, the land rate works out to S$2,189 per square foot per plot ratio (psf ppr). The tender for Beauty World Plaza will close on 30 January 2019, Wednesday at 3.00 pm. Commercial properties such as the Beauty World Plaza may be bought under personal name, but total debt servicing Total Debt Servicing Ratio (TDSR) will apply on the individual’s income on such purchases. To buy a commercial or industrial property under company name, total debt servicing ratio TDSR also applies on the individual director’s income if the company is an investment holding company or an operating company that is loss-making or does not have sufficient cash flow to servicing the repayment. Are planning to purchase a similar prime commercial redevelopment site but unsure of funding? Don’t worry because iCompareLoan mortgage brokers can set you up on a path that can get you a commercial loan in a quick and seamless manner.